Planning to climb Mt. Everest next spring? 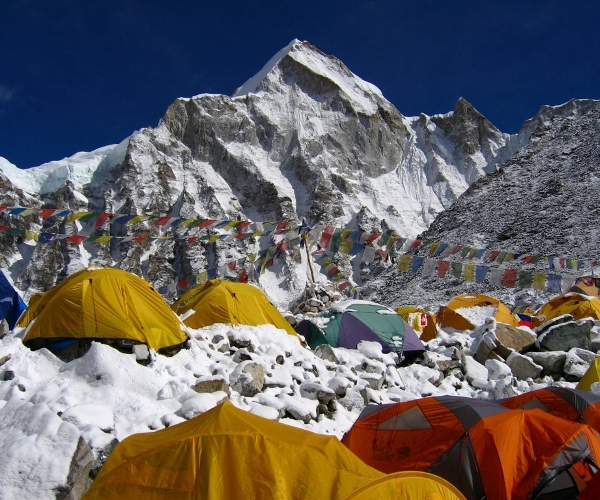 Well, you can now update Twitter, Facebook, check-in on Foursquare and anything else you normally do with your smartphone, because now there is 3G available at Everest basecamp (5,200 meters). FaceTime too, when Apple enables it over 3G, or you know, you could use Qik if you’re on Android or you just jailbreak your iPhone 4 – if you’re resourceful enough to climb Everest, jailbreaking your phone should be easy. Also, if you’re climbing Everest, you can probably afford the data charges too. TeliaSonera, the Swedish telecom, beat out Nepal Telecom and India’s United Telecom as well as China Mobile on the Chinese side of the mountain. The 3G base station cost four times what a normal base station would and runs on solar power. The signal does not yet reach the summit though, so climbers will still need to use a satellite phone to make calls from the top of the world. Three years ago China Mobile erected a voice-only transmission station on Everest, which straddles Nepal and Tibet. The high-altitude station made it possible to make calls along the climbing route. TeliaSonera had to overcome a harsh environment of freezing temperatures and no electricity supply [to erect the base station]. So the real question is: when Apple does enable 3G Facetime, how long before we see a FaceTime commercial featuring a climber on Everest talking with his kids back home? Along with partner Ncell, TeliaSonera is investing heavily in mobile coverage for Nepal, and hopes to have 90% of the country covered by the end of 2011. Here’s a video of Veikka Gustafsson, who has climbed Everest without oxygen, talk about the importance of having wireless in the Nepalese mountains. Note: There is nothing in the press release that mentions the type of 3G signal, though most likely it is a tri-band signal.